Please select from the available options to narrow down your search. Get the most out of your chase for the Auroras! Our newest tour – an exclusive sleigh ride and Aurora Photo Tour in the heart of Abisko’s remote wilderness! Would you like to experience the thrill of searching for the northern lights in the area surrounding Abisko National Park? Abisko Northern Lights activities are right near the top on any list of essential Lapland experiences in Abisko. Immersing yourself in the full Northern Lights experience within Abisko is something a little extra special. Abisko Dog Sledding activities are another awe inspiring adventure that words can never truly do justice in describing. Lose yourself in the spellbinding experience as the Alaskan Huskies take you on a thrilling journey through the snowy white wilderness and to parts of the Abisko National Park inaccessible by other modes of transport. Abisko is one of the greatest Lapland regions for pure volume of incredible activities on offer. 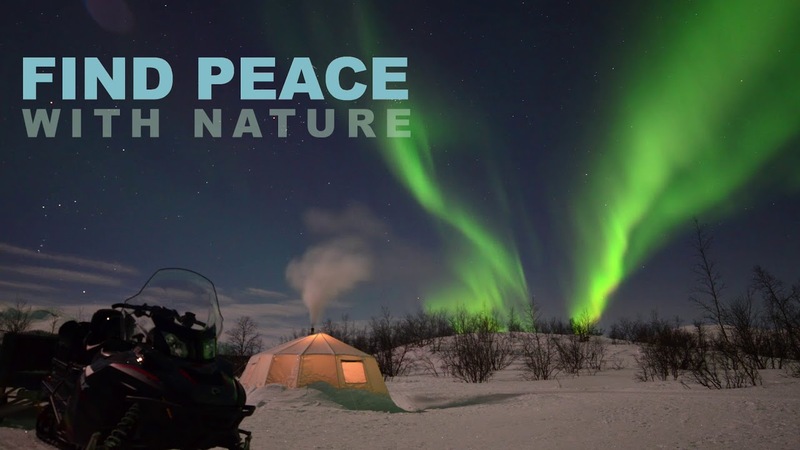 Other Abisko activities include watching the Northern Lights from the renowned Aurora Sky Station and discovering the local wildlife on our Abisko Snowmobiling activities, Ice Fishing, Snowshoe Hiking and a Berry Picking Tour (in the summer). Due to Abisko’s perfect location in a rain shadow created by the nearby peaks on the border of Norway, Abisko enjoys more clear nights than any other location where it is possible to see the northern lights. Statistics gathered during the last ten years show that you have more than an 80% chance to see the aurora borealis if you are in the National Park for one day and nearly a 100% chance of success if you are there for more than four nights. Abisko in Sweden can be found deep in the Arctic wilderness between Kiruna (Sweden) and Narvik (Norway). Nestled at the base of spectacular Arctic mountains and on the banks of Sweden’s sixth largest lake, Lake Tornetrask, Abisko is home to some of the most mesmerising activities available to experience within the Lapland regions. The Abisko Northern Lights are rightfully so, right near the top on any list of essential Lapland experiences. Being privileged enough to watch the phenomenon known as the Aurora Borealis from any location across the Scandinavian peninsula is a memory that will last a lifetime. Immersing yourself in the full Northern Lights experience within Abisko however is something a little extra special. Abisko is also synonymous with Dog Sledding trips. Abisko Dog Sledding is another awe inspiring adventure that words can never truly do justice in describing. 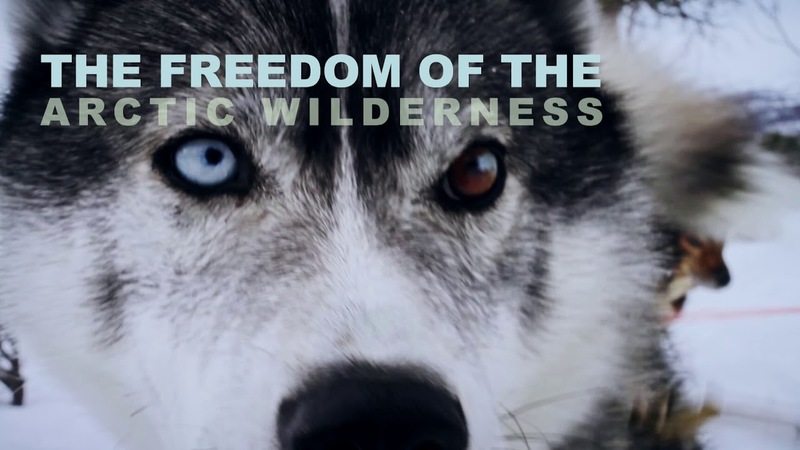 Lose yourself in the spellbinding experience as the Alaskan Huskies take you on a thrilling journey through the snowy white wilderness and to parts of the Abisko National Park inaccessible by other modes of transport. Abisko is one of the greatest Lapland regions for pure volume of incredible activities on offer. 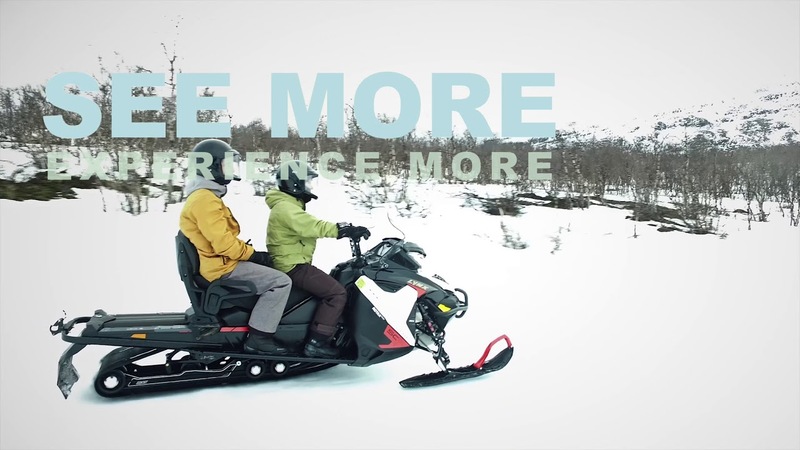 Other Abisko activities available to you include watching the Northern Lights from the renowned Aurora Sky Station and discovering the local wildlife on our Abisko Snowmobiling activities. And if you’re looking to build a one-of-a-kind itinerary then why not add Ice Fishing, Snowshoe Hiking and a Berry Picking Tour to your bucket list? When you ask an aurora hunter where they would go if the could only choose one destination to chase the northern lights the answer is almost always the same – Abisko National Park! Abisko has gained world-wide fame during the last decade and has become known as the uncontested winner in the race to become the best place on Earth to see the northern lights. While the northern lights are certainly the main attraction in Abisko, there are lots of other exciting activities on offer! Abisko National Park provides spectacular Arctic scenery that is perfect for activities such as dog sledding, snowmobiling, ice fishing, ice climbing, snowshoe hiking, day trips to the world famous Icehotel, exciting multi country adventures to the fjords of Norway and cross country & downhill skiing. All told, Abisko is a winter wonderland that gives you an opportunity to spend your days exploring the Arctic wilderness and your evenings chasing the northern lights under the clearest Arctic skies on Earth. What could be a better destination for your perfect Arctic holiday this winter? Abisko National Park provides guests with spectacular Arctic scenery including soaring mountain peaks, deep wilderness valleys filled with reindeer & moose, a massive lake with a frozen surface that is nearly the size of Singapore and miles of trails that are perfectly groomed for Arctic activities like ice fishing, dog sledding, snowmobiling, and skiing. Combine this spectacular geography with the fact that Abisko has one of the most stable weather patterns in all of the Arctic and it is easy to see why it is one of our most popular destinations! If we have said it once, we have said it a hundred times – Abisko is the world’s top destination for aurora watchers. Clear skies, easy access and lots to do during the daytime make this unique destination an aurora watchers paradise! Simply put – if your goal Is to see the auroras this winter you should book your trip to Abisko today! Abisko is a fantastic winter destination, but most of the activities in the region are aimed at adults so it can sometimes be difficult for a family to choose Abisko as their top destination in Lapland. Abisko is a food lover’s paradise! 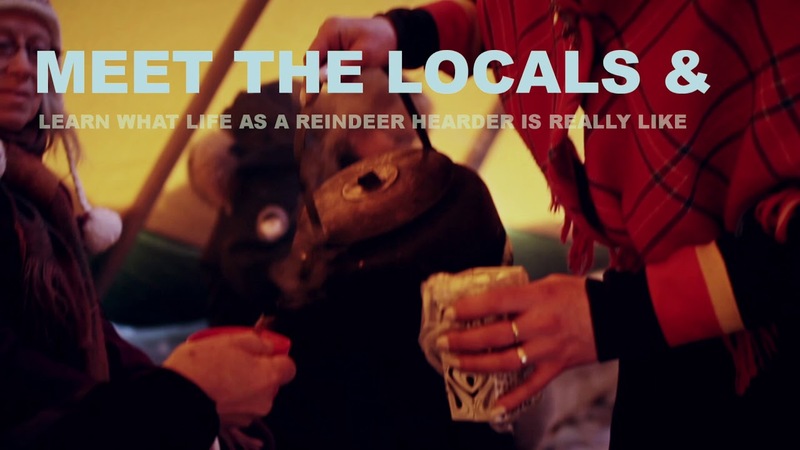 Options range from a small food truck with delicious reindeer burgers all the way up to a couple of restaurants listed in this year’s edition of the White Guide! The restaurants at the Abisko Mountain Lodge and the STF Abisko Touriststation are particularly tasty and should not be missed! Both options require that you pre-book a table so be sure to plan ahead to avoid disappointment. To be very honest, most of the nightlife in Abisko is focused on the northern lights and most travellers will find themselves chasing the auroras once the sky goes dark. With this in mind, most of the hotels in Abisko have a fully stocked bar so you can enjoy a refreshment after a successful evening under the auroras! Abisko is a fully developed destination so there are options for travellers on nearly any budget. If you are looking to travel on a tight budget there are several hostels in town that cater to those that want cook their own meals. On the other hand, there are also several lovely hotels with newly renovated rooms, thick mattresses and top class dining options. Transportation is competitively priced so getting around once you arrive will be no problem, regardless of your budget.